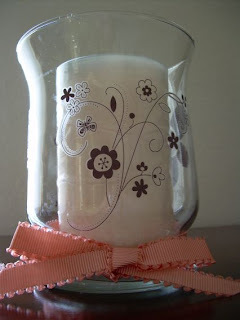 I had a great time decorating the glass candle holder with the Stampin'Up rub-ons. The set I used was a Sale A Bration set called Love and Happiness. The set has four sheets, white, black, old olive and chocolate chip. I couldn't resist using the chocolate chip. It is a quick way to have a gift for someone that is truly very special. Can you see the candle being pink or peach as a contrast ? A real wow ! 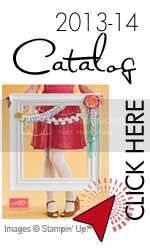 Check out all of the new rub-ons, they are great on cards but also consider using them on glass, wood, metal or china for a very pretty creation.